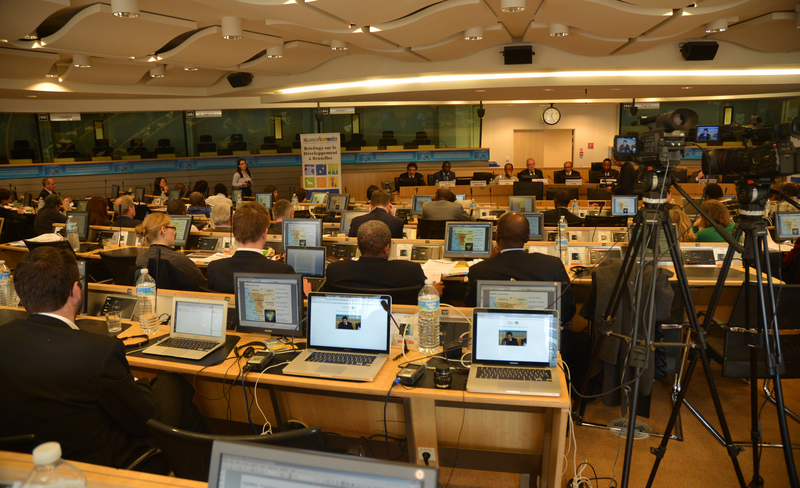 On 4th of March took place the 30th edition of the Brussels Briefing on “Agricultural resilience in the face of crisis and shocks”, organized by CTA in collaboration with the ACP Secretariat, the EC/DEVCO, Concord, and IFPRI at the European Economic and Social Committee, in Brussels. 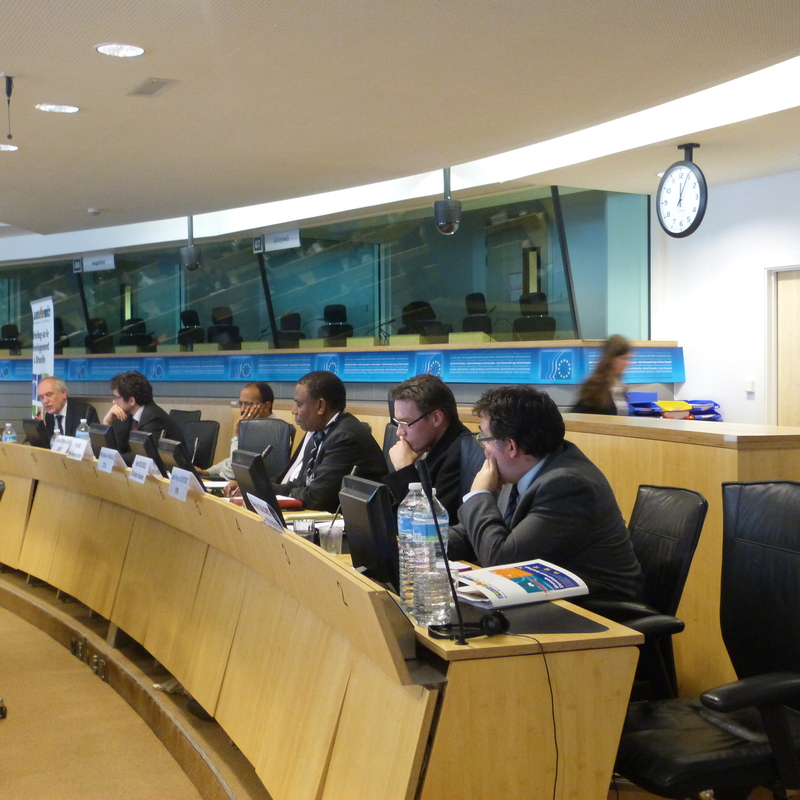 During the two panels of the briefing, international experts and agriculturalists discussed the concept to resilience, and drawn attention to proven approaches and instruments around some key areas of special benefit to the small-scale farmers in African, Caribbean and Pacific (ACP) countries. 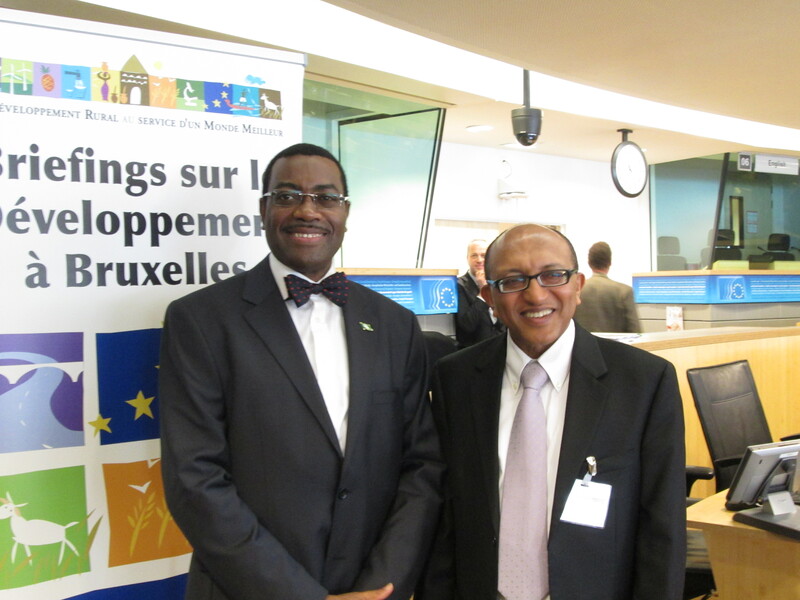 Highlights included a presentation of Dr. Akinwumi Adesina, Honourable Minister of Agriculture of Nigeria on the six policies that have been applied in Nigeria to increase resilience. He also stressed the importance of the integration of institutions, technologies, and tools, as well as of agro-ecological approaches to build resilient agricultural systems. Other presentations covered among others topics as: EU approach to resilience; Resilience in countries in protracted crises; the Regreening of the Sahel as a way of enhancing resilience; Drought-resilient crops at the benefit of small-scale farmers; and Building community resilience in front of disasters. The event gathered more than 200 participants. 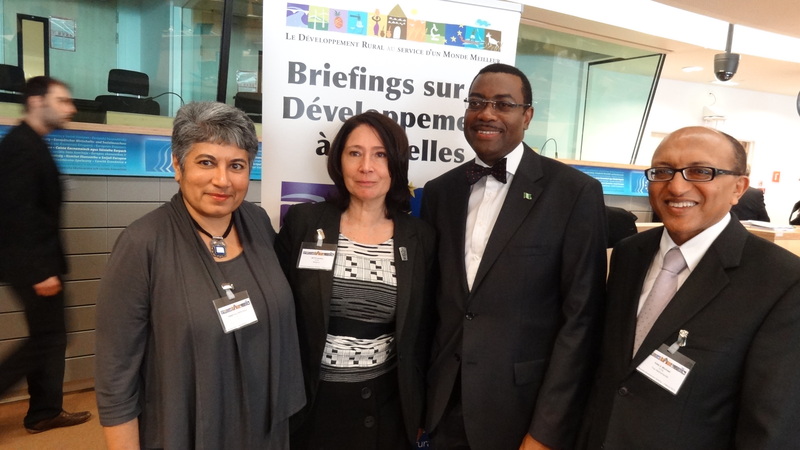 The Brussels Development Briefing is a bi-monthly event which has the aim of tackling key issues and challenges for rural development in the context of ACP-EU cooperation. This panel provided an overview of the key concepts, challenges and opportunities in building a resilient agricultural system in ACP countries. This panel presented proven actions in building resilience along with lessons learned and best practices to decrease the vulnerability of agricultural systems and improve their resilience to both predictable and unexpected stresses and shocks. A comprehensive and very well presented set of information but the briefing material and meeting largely miss the transformability aspects of resilience (see Folke, C., S. R. Carpenter, B. Walker, M. Scheffer, T. Chapin, and J. Rockström. 2010. Resilience thinking: integrating resilience, adaptability and transformability. Ecology and Society 15(4): 20. [online] URL: http:// http://www.ecologyandsociety.org/vol15/iss4/art20/). Under a climate change regime, innovation and transformation are the key to building resilience in agricultural systems. Resilience thinking and assessment based on resilience are good tools for developing resilience building strategies in agricultural systems. These tools have yet to be discovered by mainstream policy processes. I run a small network of scientists, CSOs, farmers and policy makers in Sweden that exchanges information on resilience in food systems. reading it, you could be a great author.I will always bookmark your blog and will come back later in life.